President Moon Jae-in will submit a proposal for constitutional amendment next Monday. The president instructed his government Monday to make public his revision proposal for three days from Tuesday to Thursday to explain it to people before submitting the bill next Monday. As Moon's amendment plan to put the revision to a referendum at the same time as the June 13 local elections has become concrete, the political calculations of both ruling and opposition parties before the local elections have also become complicated. "President Moon's order is to abide by the legal process and give the parties a last opportunity to present an unified proposal on constitutional revision," presidential secretary Jin Sung-joon said in a briefing. "Originally, President Moon considered submitting his bill after coming back from his overseas trips on March 28, but he accepted the request from the ruling party to guarantee the legislature's 60 days of review," Jin said. 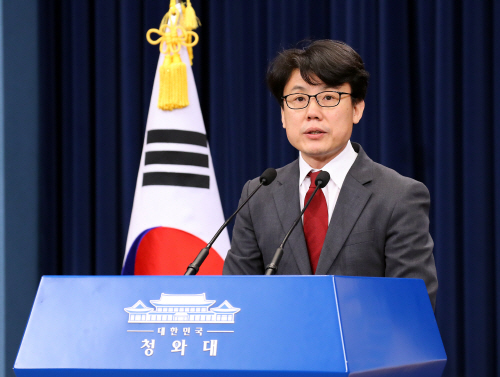 The previous day, the ruling Democratic Party (DP) Floor Leader Woo Won-sik requested the president to postpone the bill to March 26 for the "National Assembly-centered constitutional revision" to take place. President Moon accepted his offer, and gave the National Assembly five more days. 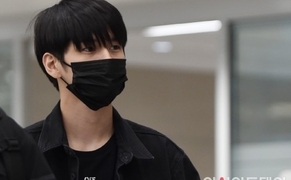 The government's revision bill will be submitted via an electronic approval method after a provisional Cabinet meeting chaired by Prime Minister Lee Nak-yon, as the president will make a visit to Vietnam and the United Arab Emirates for a six-day trip starting on March 22. The final version of the government bill will be open to the public. Three separate parts of the constitutional amendment will be sequentially revealed for three days from Tuesday. Despite the postponement of President Moon's constitutional amendment bill, the situation in the National Assembly has not improved with the main opposition Liberty Korea Party (LKP) opposing the idea of holding the referendum and local elections at the same time. Even if the president's constitutional amendment bill is passed to the National Assembly, the revision of the basic law needs the LKP's cooperation since it requires approval from two thirds of all lawmakers in the National Assembly.